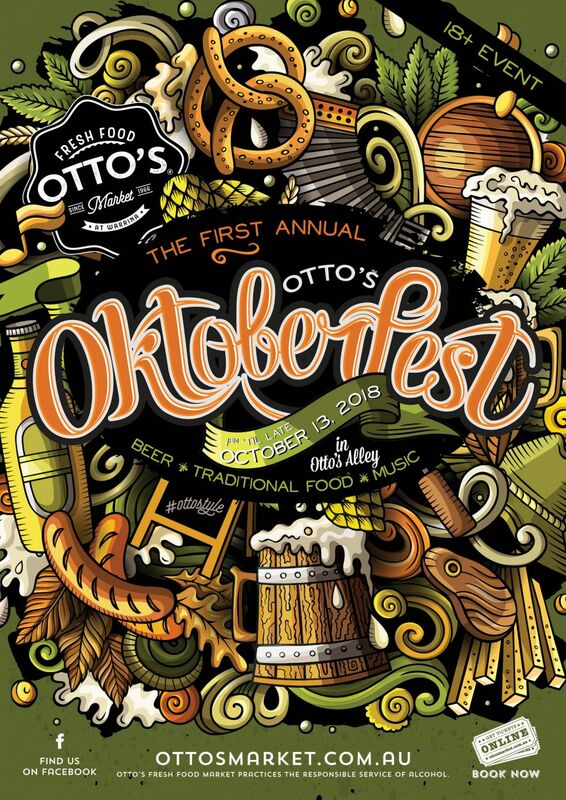 Otto’s Oktoberfest: Bringing the wurst to the best party of 2018! Is work, family and/or an unpersuasive bank account balance stopping you from wanderlusting your way to Munich to consume your weight in beer and traditional German food this October? Never fear because we have cultivated a much more convenient way for you to indulge (all whilst rocking your lederhosen and dirndls), right here in Townsville! For years you have been asking and now we happily oblige, with Otto’s inaugural Oktoberfest in Otto’s Alley. Yes, you read that correctly, Oktoberfest will be taking over our event space for one beer-filled day only, with all things Bavarian. Live music, a delicious menu serving all the best German eats (from sauerkraut to the best wurst going around and of course… bier. Just remember to pace yourself – too much of a good thing can sometimes lead to quite the opposite (obvs). So get your tickets now as space is limited and this will sell out! You only get to wear those otherwise dusty lederhosen once a year (you look amazing in them, by the way), so make October 13 your day to be awesome! Did we mention that your ticket also scores you a commemorative stein for keeps? That’s for all the obligatory prosting you’ll be doing. 18+ event - No I.D., no entry.